news The Australian Communications and Media Authority this morning revealed that the majority of its auction of wireless spectrum, as expected, was snapped up by Telstra and Optus to fuel their 4G mobile broadband rollouts, with surprise bidder TPG also picking up a tiny portion of spectrum. The total raised from the sale was $1.9 billion. According to a statement released this morning by the ACMA, Telstra bought 2x20MHz lots in the 700MHz hand and 2x40MHz lots in the 2.5GHz band for a total of $1.3 billion. 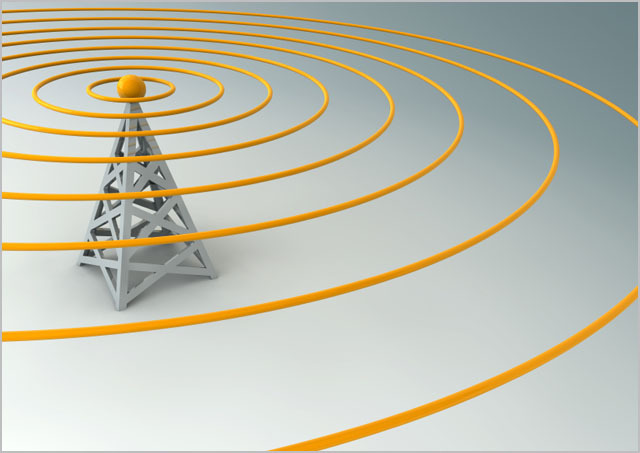 Optus bought 2x10Mhz lots in the 700MHz band and 2x20MHz lots in the 2.5GHz band, for a total of $649 million. TPG bought only 2x10MHz lots in the 2.5GHz band. It is believed that Telstra and Optus intend to use their spectrum rights to continue to fuel their rollout of 4G mobile broadband throughout Australia. It is not clear what TPG intends to do with its allocation. Australia’s other major mobile telco, Vodafone, did not bid, due to what many believe to be its current poor financial situation. “The auction process itself ran smoothly and resulted in the allocation of spectrum to the companies that valued it the most,” said ACMA Chairman Chris Chapman. “The auction tested the market and the auction’s conclusion is another important step toward realising Australia’s digital dividend.” The so-called “digital dividend” refers to spectrum freed up by the switch away from analogue television in Australia. The sale was immediately hailed as a success by Communications Minister Stephen Conroy, despite the fact that 30MHz in the 700MHz band was not sold in the end, meaning that the Government may not have made all the income it planned from the auction. Optus chief executive Kevin Russell said in a statement that the spectrum Optus acquired in the 700 MHz band would provide stronger 4G coverage across both metropolitan and regional Australia, allowing the company to expand its 4G services to more customers than ever before. “The additional spectrum purchased in the 2.5 GHz band, when combined with our already substantial holdings in 2.3 GHz, will enable Optus to provide unparalleled network capacity for 4G data services to our metropolitan customers,” Russell added. Optus said its approach reflected the growing global trend for multi-band 4G networks, which combines low band 4G frequency for strong coverage with high band spectrum to increase network capacity. With a variety of bands and different Long Term Evolution (LTE) technologies, Optus will gain the flexibility, it said, needed to deal with the growing demand for additional capacity and faster network speeds. For its own part, Telstra issued similar sentiments. Telstra CEO David Thodey said the auction result was “a significant outcome for Telstra customers as it would help ensure the company remained at the forefront of mobile connectivity”. “The low-frequency nature of 700MHz means the mobile signal can travel relatively longer distances, which is ideal for improving the services we can offer to customers in rural and regional areas. It also means better in- building coverage in metro and suburban areas. Hooefully they don’t sell it off now and hold onto it. Later on once this spectrum is in use and data usage goes even higher Telstra and Optus may want more and will be willing to pay for it then even though they weren’t willing to pay for the maximum now. In the past governments have sold off spectrum at a low price and the big companies have taken advantage of the total lack of understanding that politicians have of the value of it. TPG could do some really interesting things with the spectrum they bought today. Not a bad time to build a network from scratch with all the new equipment coming out and VoLTE meaning everything can be packet based. A predictable flop, the only good news from the whole dividend process was that obsolete 60 year broadcast television was given the heave ho. Only politicians like asymmetrical broadcast television medium, because it gets them elected. The public much prefer the symmetry of the Internet. Now can the ACAM get back to dealing with serious issues like the embargoes they’ve place on useful spectrum that prevents the rest of Australia getting on with business? I think you’re being a bit harsh. Sure they didn’t sell a paired 15 MHz section of the 700 MHz band, but with the state of Vodafone resulting in only two bidders, it was unlikely to sell out. The bidders bid the minimum. The only reason the government got the amount they did was because of the (very high) reserve price. That spectrum doesn’t even become available for a little while yet so it will be interesting to see what the government decides to do with the remaining 30 MHz.